Five students with signs: "Workers rights are human rights;" WI believes in worker rights.' "Don't cut our education just because you didn't get one;" "We love our teachers;" "Kill the bill." 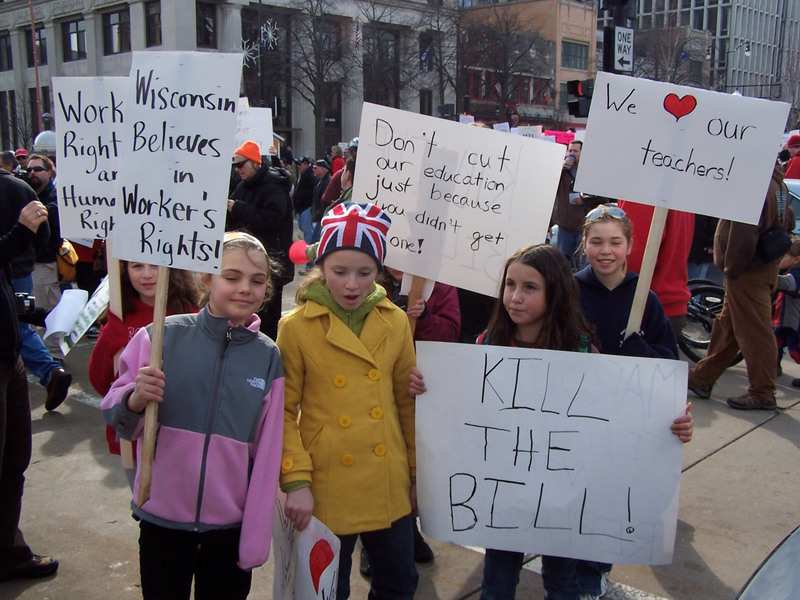 Thompson, Anne F., “Elementary students with protest signs,” Wisconsin Uprising Archive, accessed April 21, 2019, http://wisconsinuprisingarchive.org/items/show/89.